The phasing out of the global downturn, positive growth in the output, renewed trade between the economies has made the business community upbeat about the future prospects. The automobile sector which plays a major role in any such situation is therefore experiencing positive vibes all the more. With the exponential rise in automobile market around the world during this year has made many multi-national companies positive about their scheme of things in the near future. India in particular has caught the imagination of these global companies, which have naturally announced their new found strategy in growing markets like India. They are mulling to unveil a host of new models in a bid to cater to the ever rising demand in the coming years. The latest buzz doing the circuit is, Mitsubishi Motors, the Japanese car maker has jumped on the bandwagon with the like of Nissan, Toyota and Honda on their road to these blossoming markets. Nikkei, the Japanese business daily, has in a recent report unveiled the car makers plan to start production in the lesser-developed nations and increase the output significantly in emerging markets. These include the developing economies of India and Brazil. Mitsubishi is drawing up plans to increase its capacity and therefore its output levels in India, according to some media reports, it is also in talks with its outsourcing firm to take up a leading stake in the same. France’s Peugeot Citroen has been touted as a potential joint venture partner in India, as reported by a business daily. 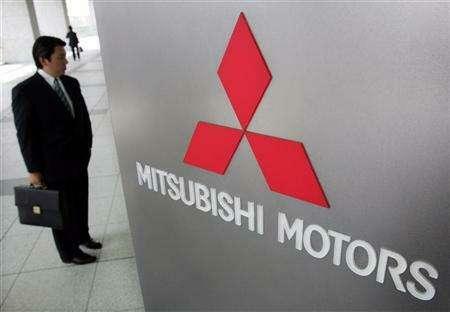 It also is mulling to manufacture a low-priced car developed in collaboration with Nissan Motors, the Nikkei reported. In a major development it has expressed its intent to end the production of automobiles tailored for US and the European local markets. The report further says about the Japanese car maker’s plan to increase its global production level to 1.5 million units per annum by redistributing business resources. This target is a 50 percent rise from the it’s production level of the year 2009. An estimated investment of $241.5 million, Mitsubishi motors, is planning to do in order to acquire a stake of almost 50 percent in Automotores do Brasil, an outsourcing firm which handles its Brazilian operations. The plant in Brazil is expected to be expanded in the year 2010-11. This is with the target of producing at least 1, 00,000 units per annum, a rise of 100 percent over current production level.